Speaking of Huizhou Prefecture, maybe majority of people do not known where it is, but mentioning Mt. Huangshan, people of the world probably hear and also want to have a visit. However, in history, Mt. Huangshan is just a part of Huizhou. 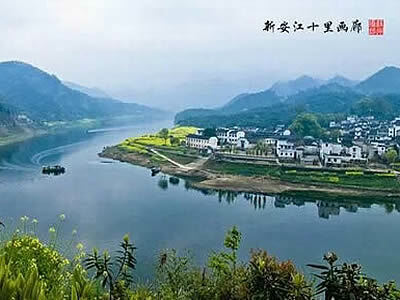 Huizhou as the name of this region lasted for more than 850 years. The capital of ancient Huizhou Prefecture is in current She County Town which was the core of this area. Ancient Huizhou Town is one of the 4 best preserved ancient towns in China (along with Lijiang, Pingyao, Langzhong.). Tourists will arrive at the Ancient Huizhou Town, stroll on the ancient streets and visit the many well preserved ancient buildings and gardens. Huizhou has the dreamlike beauty as attractive as Hangzhou, boasting the Paradise on Earth. It is elegant eternally for its miraculous history and glorious culture based on the Confucianism, the secret of Huizhou’s permanence of elegance and glory. Xin An River running through She County is famous for its limpid water, and the water is clear in all seasons. There are green mountains around the winding river. Many ancient poets praised it with their poetry. It has enjoyed such eulogies as "cool and refreshing world" and "the way of Tang poetry". With unique beauty that goes beyond any words, the Xinan River scenery is one of the most represented Chinese landscapes seen on traditional paintings and poems. As a breathtaking scenic spot, the river never disappoints any of its visitors. Hiking or cruising along Xinan River is the special experience for the tourists to enjoy the magnificent natural scenery of the countryside. Include: Ancient Fish Backbone Dam and Jetty, Giant Archway, Ancient Huizhou Prefecture Government Building, Cao Familys Residences, Hui Garden. * Walking on the ancient streets in the old capital of Huizhou Prefecture to enjoy prominent ancient city hall and graceful old residential houses and gardens. * Cruising and indulging in the enchanting scenery along the limpid Xinan River. Huizhou Prefecture in history was famous for its respectable businessmen who were mostly well educated with essence of Confucianism. The glory and splendor of Huizhou culture is based on the long-standing tradition of believing sincerely and following firmly what Confucianism said and advocated. Historically, the local residents of Huizhou almost immigrated from northern China due to the warfare and escaping from the natural or political calamity. They used to be the privileged families or classes and also had a superior or better education, which mainly featured the Confucianism. Hence, the lifestyle and value of life of theirs are engraved with philosophy of Confucianism. They kept the belief of reading and education from generation to generation even if their life became extraordinarily poorer. For hundreds of years, this belief became their automatic need in spirit. They maintained this tradition to learn themselves and also teach their next generation with their all-out efforts. So these people with blue blood continued their value up to today: Education of Confucianism and Brilliance of Commerce. No matter how poor they were, they never quitted the education, and they believed the knowledge of saints and the morality of individual were the basics of a mans growth and success. That is why they maintain Confucianism for many generations. To lead a better life and honor their ancestry, being a brilliant and successful merchant would be also an accepted alternative if they failed in being an official of government through imperial examination. But to be an individual, they strictly followed the regulations and thoughts of Confucianism, and this was nothing to do with their changing identities: officials or businessmen. In a way, to be a dependable and honorable man based on Confucianism is the root of their lifestyle and life philosophy. Moreover, the local residences comprised of different families with different family names also competed together. So for showing their superiority, they had a quite strong sense of clanism. Such an interior competition was also an objective promotion to the extension and improvement of Huizhou in culture and economy. Therefore, some won in the imperial examination and became the backbones of the country, and this surely was the pride and honor of whole family, and the whole town. Certainly, the most of the examinees concluded in failure, and this was the rule of imperial examinations, though in Ming and Qing Dyansties, a large number of Huizhou examinees won the imperial examination, but they were just a tiny part of the whole group of examination participants. Majority of losers had to think about their future. Due to the geographic inferiority of Huizhou, many people had to move out for living. There used to a saying: Seven parts belong to mountains, two water areas and one farmland(七山二水一分田). It is obvious that the severe short supply of farmland to the increased population. So the old local of Huizhou used to complain in a folk poem:"前世不修，生在徽州，十三四岁，往外一丢" (Due to the less self-cultivation in preexistence, and being born in Huizhou of this life is a penalty. At the age of 13or 14, the children had to leave hometown to live by themselves). Because of the strong sense of existence, these Huizhous people living outside of Huizhou worked quite harder than others. Plus their brilliance and well-built social interpersonal network based on "信(personal dependability)"and "义(personal loyalty)" of Confucianism, their business developed fantastically, and in Ming and Qing Dyansties, Huizhou businessmen extended nearly all over China, especially in some big cities like Beijing, Nanjing, Shanghai, Suzhou, Yangzhou and Hangzhou. Some of them also became the high officials and the bosom friends of emperors like Hu Xueyan(boasting the red-crown businessman of Qing Dynasty ) and Jiang Chun(one of folk friends of Emperor Qianlong in Yangzhou). These Huizhou businessmen played the leading role of Chinese economic and business development for over 500 years. They were highly respected in the society; even some prime minister once married his daughter to a Huizhou businessman without any special official and family background. This was impossible in ancient time, so many experts of Huizhou regional culture always marvel at their achievements and think they always created the wonders or made the day-dream come true. Traditionally, the successful men had the habit to revisit their hometowns or share his achievements and happiness with locals of their hometowns. In China, we call it "衣锦还乡", literally means: return to hometown wearing the brocade-made clothes). These famous businessmen largely built the beautiful mansions, gardens, halls, pavilions or other gorgeous architectural complexes. These buildings are totally characterized of the local architectural style of Huizhou and they are the main representative of China’s outstanding ancient architectural culture and history. Today’s old streets of Huizhou still keep the original styles and become a highlighted part of Huizhou culture. Due to the sufficient fund support, they paid more attention to the detailed design or layout of architecture, and then Huizhou woodcarving art and Huizhou horticulture were tremendously improved. Though they were greatly successful, but they still thought they were partially unsatisfied, because in ancient China, businessmen were discriminated for they belonged to the lower level of classes, also the government had the policy of emphasizing the agriculture and lowering the commerce. For avoiding such an embarrassment and discrimination reaching to their next generation, they invested a lot to the education of their next generation, and then Huizhou education developed dramatically in nearly all the aspects, so the art of Huizhou represented by Xian Painting School(新安画派) was quite famous all over the country. What is more, many great figures appeared from Huizhou continually such as Zhu Xi(朱熹), the founder of neo-Confucianism and one of Saints of Confucianism in Chinese history; Bi Sheng(毕昇), the inventor of movable-type printing, one of Four Greatest Inventions of Ancient China; Hu Zongxian(胡宗宪), an authoritative official of Ming Dynasty; Dai Zhen(戴震), an authoritative scholar of Qing Dynasty; Zhan Tianyou(Jeme Tien Yow, 詹天佑), the most famous railway engineering expert of modern China and the designer and operator of China’s first railway: Beijing-Zhangjiakou Railway(京张铁路); Hu Shi(胡适) was the greatest reformer of Chinese new-culture movement and father of colloquial Chinese literature movement in the early 20th century；and Tao Xingzhi(陶行知), the greatest educationist of modern China. They were all the best witnesses of Huizhou education. Huizhou medicine was also quite unique and perfectly improved. These rich businessmen never considered the expenditure of traditional medicine study; on the contrary, they were willing to pay more to the development of medicine, for the improvement of medicine can help them live longer and healthier. These businessmen were also quite brilliant to show their uniqueness and advantages, so the tea culture of Huizhou represented by Maofeng Green Tea of Huangshan Mountain and Red Tea of Qimen, or Keemun Tea(祁门红茶), quickly welcomed at home and abroad. Maofeng Green Tea(毛峰绿茶) became the top representative of Chinese tea, and Red Tea of Qimen is internationally famous and authoritative. The history of tea culture of Huizhou is actually also as long as the history of Huizhou itself. The time-honored Four Treasures of Study (Brush, Ink, Paper and Inkstone) became more and more welcomed and famous around the world, and to a most degree to be the symbol of Chinese elite culture and traditional scholars culture. These local resources rewarded them many great deals and perfect reputations. Huizhou Cuisine is also famous as one of China Eight Top Cuisine. Before 1949, Huizhou Cuisine absolutely predominated in Shanghai and became the main cuisines in majority of Shanghai restaurants. Actually, the raw materials of Huizhou Cuisine are quite common and ordinary. But after the cooking procedure, it becomes quite delicious and tasteful. Huizhou Opera is the origin of Peking Opera, which was finally shaped when Four Famous Team of Huizhou Opera arrived in Beijing for commemorating the 6oth birthday of Emperor Qianlong. The leading figure was Cheng Changgeng(程长庚). Since then Peking opera on the basis of Huizhou opera was quickly popularized all around the country. Huizhou Opera is also a source of nutrition of development of Kunqu Opera. Huizhou Businessmen made a highlighted contribution to the internationalization of China’s business and development of regional culture. In Karl Marx’s masterpiece Capital, three Chinese businessmen were highly mentioned, and they were all from Huizhou, exactly, Wang Maoying, Hu Xueyan and Jiang Chun, three figures firstly as the representatives of China’s businessmen were widely known by westerners via this classic book of economics. Besides, Huizhou businessmen also made an unprecedented contribution to the cultural development of China, which is never surpassed by other reigional businessmen. Huizhou businessmen historically were the best and most authoritative representative of China in Ming and Qing Dynasties. 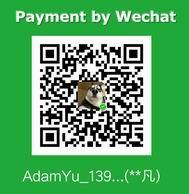 They nearly mastered the whole China’s economic development tendency. 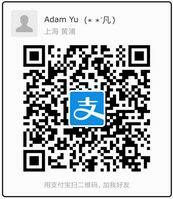 Suzhou, Beijing, Yangzhou, Hangzhou, Nanjing and Shanghai were all their business centers. Today, a large number of the historical sites and cultural attractions of these cities like the White Pagoda of The Slender West Lake in Yangzhou and Huqingyu Medicine Hall of Hangzhou were all built by Huizhou Businessmen. Your private guide and driver will meet you at your address and accompany you to Ancient Huizhou Prefecture. After 400km/4.5 hours ride, you will arrive at She County (the capital of ancient Huizhou Prefecture). Lunch and check in the hotel in the town. The tour in this afternoon is to the Ancient Huizhou Prefecture Town (one of the 4 best preserved ancient towns in China along with Lijiang, Pingyao, Langzhong) which is right by the side of She County town. Here you will visit Giant Archway, Ancient Huizhou Prefecture Government Building, Cao Familys Residences, Hui Garden. Afterwards, get to the ancient Yuliang Village which is around 1km to the south of the ancient town to visit: Ancient Fish Backbone Dam and Jetty which was built around 1500 years ago. Totally it will take around 3 or 4 hours. After breakfast, drive about 30 minutes (16 km) to arrive Shendu Town. 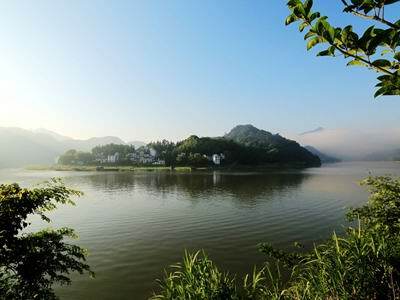 The most important port from Anhui Province to the east area (such as 1000-Island Lake and Hangzhou city) along Xin An River is at this town. You will take ship to cruise on the dreamy and picturesque river and visit one island - this part of the river was called Xin An River Landscape Galley. You will be astonished by graceful hills, limpid river and gorgeous landscape alongside the river. Totally the tour here takes around 3 or 4 hours. After Lunch, get back to your private car. Review your photos or take a nap on the way back to Shanghai. It takes around 360km/4.5 hours back to Shanghai.